The best thing about Providence is that a world of art, entertainment, and culture is never more than a stone’s throw away. Live comedy and theater, award-winning and cult cinema, literary events and visual arts of all kinds – there’s something here for all tastes, and plenty to get you out of your comfort zone. Now that spring has sprung (we think), get out, see a show, and find your new favorite way to spend a night out. 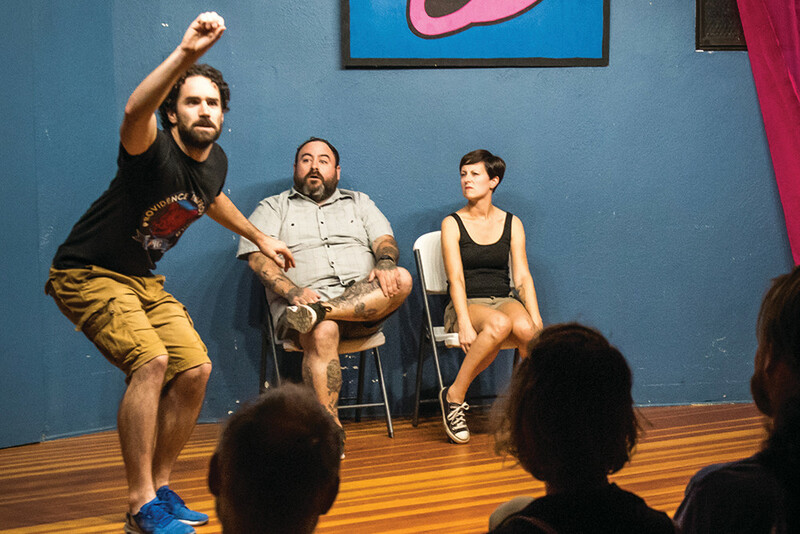 Providence may not be one of those mythical comedy towns cranky old comics talk about on their podcasts, but there’s a thriving improv scene here. For the uninitiated, improv is exactly what it sounds like – performers get on stage and make it all up on the spot, ensuring that you’ll never see the same show twice. Wage House just celebrated its first anniversary in February. Shows go up every Friday, and feature a recurring corps of improv teams. Kate and Casey, the two-woman team comprised of Wage House’s founders, prove that two’s a crowd as each performer takes on multiple characters – sometimes in the same scene – in a handful of scenes throughout the set, looping back to earlier story lines without missing a beat. Poolside and Up in the Attic each bring larger casts to the stage, evolving into a kind of high-energy, controlled chaos as players move in and out of scenes or all pile on stage at once. Vox Magna puts a Broadway twist on improv by whipping up an on-the-spot musical comedy with nothing more than a one-word audience suggestion. Providence Improv Guild (PIG) puts on three shows a week, with its house teams Seagull Related Fish Fight and Fool’s Pudding taking the stage on Fridays and Saturdays. Seagull Related Fish Fight keeps it high energy and physical, and often finds the whole team on stage together. Fool’s Pudding mixes things up by including silent scenes and patterns that work so well that sets can seem pre-scripted. The curtain is closing on The Gamm’s run in Pawtucket this month with one last production of The Bard – As You Like It, April 19–May 27 – before they pack up and move to a new space in Warwick. Here are seven other can’t-miss local productions going up this month and beyond. 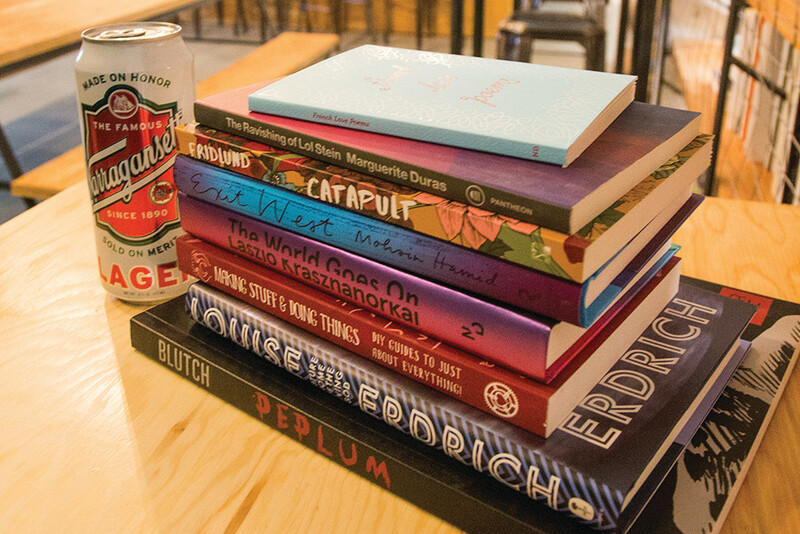 These aren’t the cliched book clubs of suburbia. Here you get challenging, curated reads from people who know what they’re talking about, as well as a chance to get up close and personal with the minds behind them. Providence is a film lover’s city: two single-screen art house theaters, a larger format IMAX screen for big budget spectacles, a drive-in and pop-up outdoor screenings in warmer months, and a handful of curated film series. Now that the biting cold is behind us, it’s time to chill with the Netflix. There are cinematic deep cuts, and then there are the culty oddballs that the Dreadphile Cinema Club digs up. For the “so bad it’s good” crowd, expect to see this Z-grade film series pop up whenever anyone will let them show movies with titles like TerrorVision, Motel Hell, and Death Spa. They don’t call this town the Creative Capital for nothing. 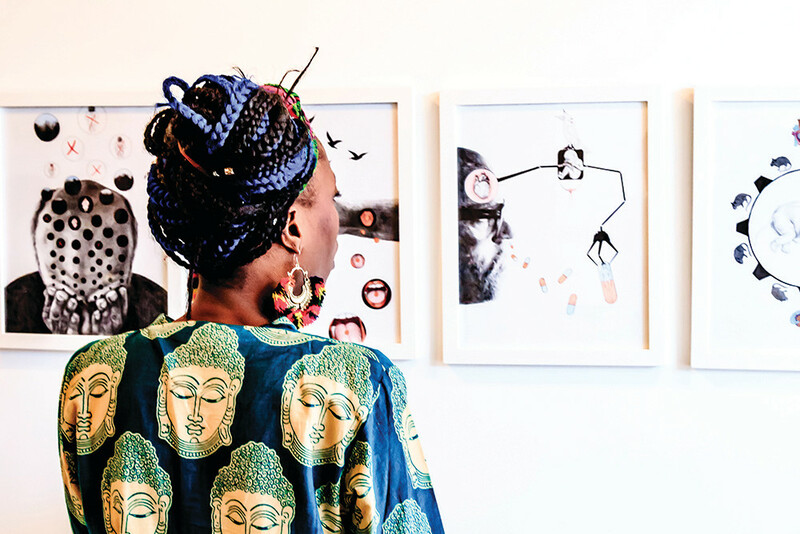 See exciting works from local artists and makers, as well as art from around the world in the city’s galleries, museums, and studios.